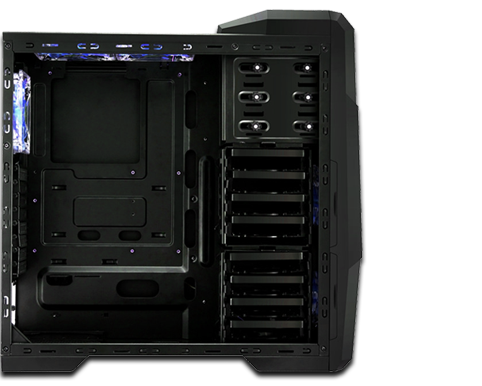 This product has 3 HDD bays of 5.25” and 8 expansion slots of 3.5” which forms monstrous cabinet and it also has EMI anti-magnetism design. 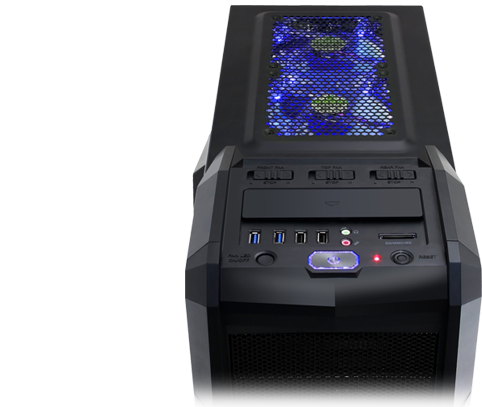 Gamemax M901 supports standard ATX switch power supply and can be extended up to 420mm graphic card. 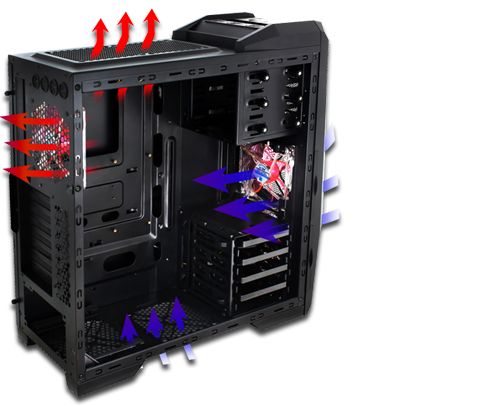 Its spacious design compatible for all ATX/MATX/ITX. 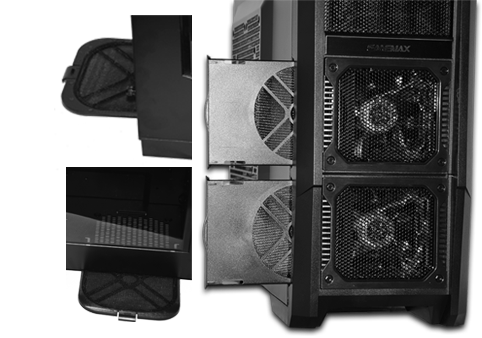 Meshed bay covers help dust prevention.